During a recent LaTeX introductory workshop, many participants said that they’re very much looking forward to using LaTeX for their future writings, but mentioned that there didn’nt seem to be an obvious way of porting their existing EndNote bibliography libarary into BibTeX format. EndNote does have an “Export BibTeX” filter, but it doesn’t seem to generate satisfactory BibTeX files. After some googling, I found Bevan Weir’s customised export filter, which does a much better job than EndNote’s default. I modified his filter file a little bit more, and was able to convert an EndNote bibliography library to BibTeX with the following steps. I tested this with EndNote X5 on the Mac, with JabRef 2.7, but they should also work with Windows versions. 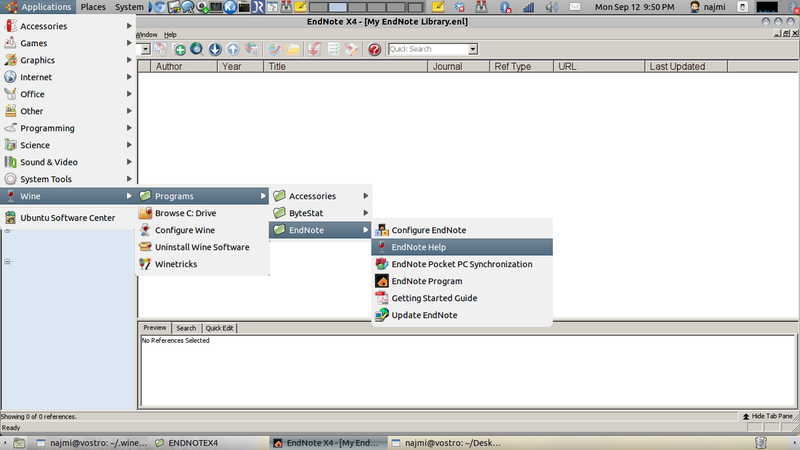 %ENDNOTE% refers to the path where EndNote is installed on your system. Put BibTeX_Export_LLT.ens (download) in %ENDNOTE%/Styles/ . Start EndNotes, and load your library. Make sure BibTeX_Export_LLT is checked. Make sure Save File as Type is set to Text Only, and Output Style is set to BibTeX_Export_LLT. Save your file and check that it has a .bib extension. 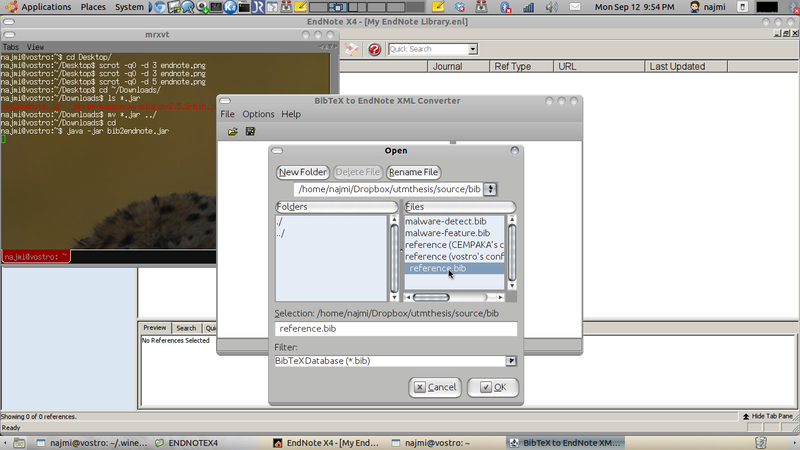 Open the exported .bib in JabRef. There will be a whole bunch of errors about corrupted or empty BibTeX keys; don’t worry. Just click OK.
Ctrl+A to select all the BibTeX entreis, Tools > Autogenerate BibTeX keys. Check through the BibTeX entries, especially those highlighted red, to check and correct any crucial information loss. And hopefully the converted bibliography file is now usable enough. You might somehow need to submit your research findings in a journal which however, needs you to submit compulsively in Microsoft Words format.